That phantom menace Darth Maul is set to return to the Star Wars galaxy this spring when The Clone Wars returns to the air. I’ll admit I’m a Star Wars super nerd, and I’ve watched a handful of episodes of the animated series. It’s honestly a decent show, and it depicts the clone wars in a way we all kinda wish the movies had. Anyway, they’ve been hinting at Maul’s return for a few episodes now, bringing in his brother, Savage, who causes quite a stir and is most recently sent to seek out the presumed dead Maul. Maul has returned in a few expanded universe comics, but this is his first canonical return to the franchise. 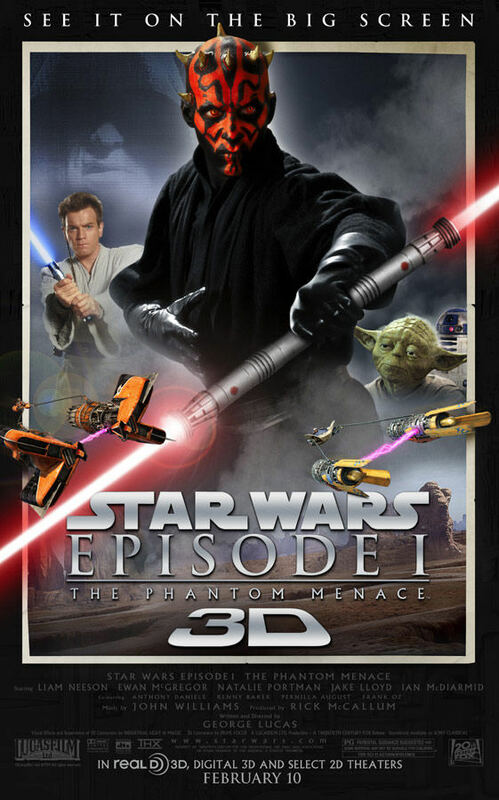 Speaking of the Sith, he appears front and center on the recently released Phantom Menace 3D poster, which is also notably missing Jar Jar Binks (Hooray!). Darth Maul and Episode I: The Phantom Menace return in the spring of 2012. Comments for Darth Maul Returns to “Clone Wars” are now closed.